New Orleans, Louisiana – June 3, 2016 –The site of Vitascope Hall, where the first movie theater in America opened on Canal Street at Exchange Alley in 1896, is finally getting its due. After a 20-year crusade by Ed and Susan Poole, internationally-known film historians and archivists, the site will get a historical marker. “It’s a shame it took so long, but we’re grateful for this recognition of Vitascope Hall,” said Ed Poole. The Pooles originally applied in 1996 to commemorate the 100th anniversary, years before the arrival of Hollywood South. Lynne Coxwell oversees the Louisiana Historical Marker Program and has helped with the application process. Scott Hutcheson, the mayor’s advisor for the cultural economy, is enthusiastic about recognizing the historic landmark. The Louisiana Tourism Development Commission is scheduled to grant final approval for the historical marker at its annual meeting in August. An unveiling ceremony will be announced at a later date. Ed and Susan Poole have published more than 20 reference books including Hollywood on the Bayou and Learn About Movie Posters. Their latest, America’s First Movie Theater: Louisiana’s Vitascope Hall, is a vividly-detailed account of the industry’s early days. www.learnaboutmovieposters.com. Linda Thurman is a Louisiana native and former Hollywood executive. 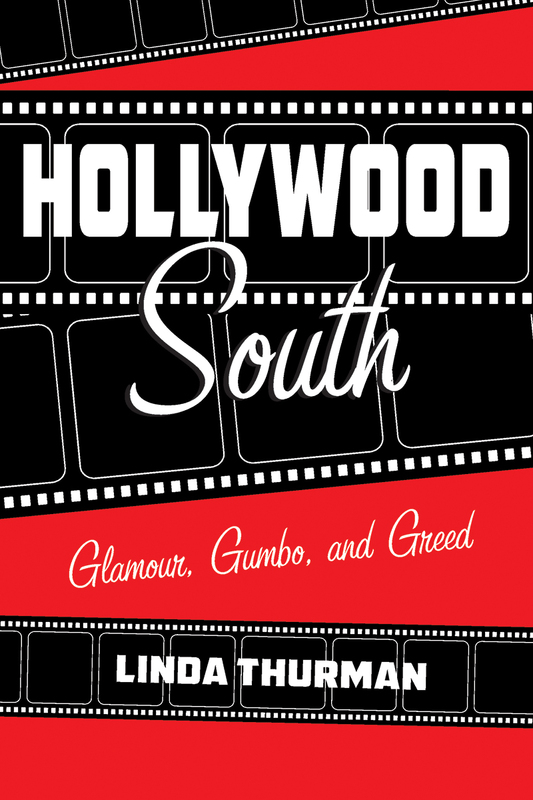 She is the author of Hollywood South: Glamour, Gumbo, and Greed. Pelican Publishing 2016. https://lindathurman.com. Sandra Herman is a member of the French Market Corporation’s Board of Directors and President of the Board of Directors of the Louisiana Center for Women in Government and Business. She designed the Louisiana Department of Culture, Recreation & Tourism and served as its first cabinet-level Secretary. Russ Herman is a founding member of Herman, Herman & Katz, a nationally-recognized litigator, and in the Trial Attorney’s Hall of Fame. Michael W. Domingue is the FHWA Recreational Trails Program (RTP) Administrator for the State of Louisiana. With an office in DCRT, the RTP is a partial funder of the Lafitte Greenway and many other pedbike transportation infrastructure projects in New Orleans and throughout Louisiana. http://www.crt.state.la.us/louisiana-state-parks. Thanks for asking, Stephen. We have 2 Vitascope Hall photos, one of the theater from a movie magazine and an ad from the Times-Picayune. Both are at https://lindathurman.com/vitascope-hall-photos. You’re welcome to re-post as they are both in public domain. I’ll be delighted to submit others of dear old NOLA from time to time. If you need anything else, please let me know.